Are you ready to play? 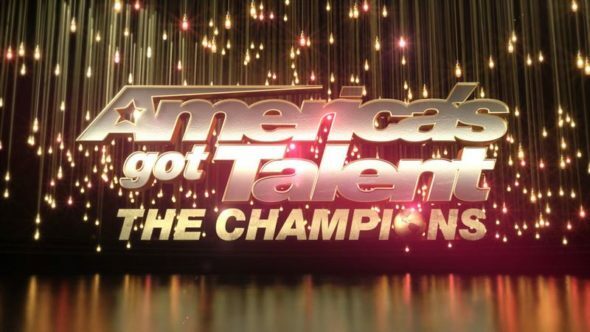 NBC just announced the premiere dates for Ellen’s Game of Games, The Titan Games, and America’s Got Talent: The Champions. And, last but not least, season two of Ellen’s Game of Games premieres on NBC on January 8th at 8 p.m. ET/PT. UNIVERSAL CITY, Calif. – Oct. 12, 2018 – Looking to begin the new year with off-the-charts alternative muscle, NBC’s January lineup is set to include the premiere of “The Titan Games,” the new epic physical competition series from Dwayne Johnson and Dany Garcia; the debut of “America’s Got Talent: The Champions,” the global winter edition of the network’s summer powerhouse; and the second season of the highly popular series “Ellen’s Game of Games,” from superstar executive producer Ellen DeGeneres. The 10-episode series from Universal Television Alternative Studio (“World of Dance”), A. Smith & Co. Productions (“American Ninja Warrior”) and Seven Bucks Productions (“Rock the Troops”) will offer everyday people the once-in-a-lifetime opportunity to compete in remarkable feats designed to test mind, body and heart. Inspired by executive producer and host Dwayne Johnson’s desire to motivate global audiences to reach their potential for greatness, this unparalleled new athletic competition gives men and women across the country the opportunity to step inside the electrifying Titan arena and achieve the impossible. Competitors will push their bodies to the limit by battling opponents in unforgiving head-to-head challenges. “The Titan Games” will not only test the competitors’ physical strength, but also their mental and emotional fortitude. In this uplifting series, hard work and determination will be rewarded and a new breed of heroes will emerge. Titans aren’t born, they’re made. “The Titan Games” is produced by A. Smith & Co. Productions in association with Universal Television Alternative Studio and Seven Bucks Productions. Dwayne Johnson, Arthur Smith, Dany Garcia, Hiram Garcia, Brian Gewirtz, Toby Gorman and Anthony Storm will serve as executive producers for the series. Coming off a summer in which “America’s Got Talent” continued as the #1 alternative series on television, “America’s Got Talent: The Champions” will bring together some of the world’s best acts from the international “Got Talent” franchises, spanning 194 territories, and come to share their talents and compete against one another in an Olympics-style ultimate celebration of worldwide creativity and talent. “America’s Got Talent” finished the 2017-18 season as television’s #1 alternative series in adults 18-49 and total viewers, with the Tuesday edition averaging a 2.8 rating in adults 18-49 and 14.2 million viewers overall in “live plus seven day” results from Nielsen Media Research. “AGT” once again dominated the summer television landscape, towering by +5.4 million viewers over the summer’s next most-watched entertainment program. The series, from NBC, Syco Entertainment and Fremantle, will feature the star-studded judges panel from “America’s Got Talent” — executive producer Simon Cowell, Mel B, Heidi Klum and Howie Mandel — and will be hosted by Terry Crews. Ellen DeGeneres serves as host and executive producer of the hourlong comedy game show, which includes exciting new supersized games to be added for the second season. “Game of Games” features supersized versions of the most popular and action-packed games from her award-winning daytime talk show, “The Ellen DeGeneres Show.” Contestants, who are pulled right from the audience, will have to maneuver massive obstacles, answer questions under crushing time pressure and face gigantic plunges into the unknown — all in a quest to win a big cash prize. Last season “Ellen’s Game of Games” averaged a 2.3 rating and 9.2 million viewers overall in “live plus seven day” Nielsens, making it the season’s #1 new alternative series in both adults 18-49 and total viewers, as well as the top-scoring new in-season alternative program since “Little Big Shots” debuted in spring 2016. What do you think? Are you fan of game shows? Which NBC shows will you watch this winter? More about: America’s Got Talent: The Champions, America’s Got Talent: The Champions: canceled or renewed?, Ellen's Game of Games, Ellen's Game of Games: canceled or renewed?, NBC TV shows: canceled or renewed?, The Titan Games, The Titan Games: canceled or renewed?